Other than a one or two days when I had the flu, I’ve painted throughout the holiday season. You can see every post on Instagram @eileenmckenna. I really enjoy this relaxing time and the holiday and winter concepts I’ve explored. Anytime I’ve worked for a week or month within a theme, I’ve been pleasantly surprised with some of my ideas. One of my main goals for 2019 is to work within themes. First up Valentine’s Day and St. Patrick’s Day. To see my daily posts follow me on Instagram @eileenmckenna. 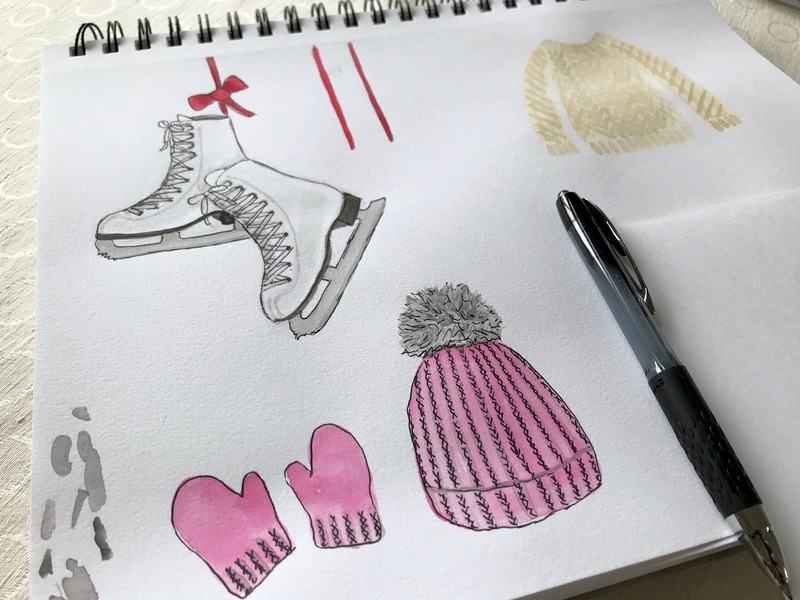 Categories: Countdown to Christmas, Illustration, Watercolor | Tags: Holiday illustrations, Ice skates illustration, Ice skating illustration, Winter illustrations | Permalink. I couldn’t be happier with where my last two holiday illustrations have led me. This year I’m not following any prompts, but working within the holiday/winter theme. Without the prompts I feel freer to paint different things within the theme. Tonight I was laying on the couch thinking about how I hadn’t painted, how my neck hurt from sitting at the computer, how I really didn’t feel like painting, had no ideas, and how I was freezing. 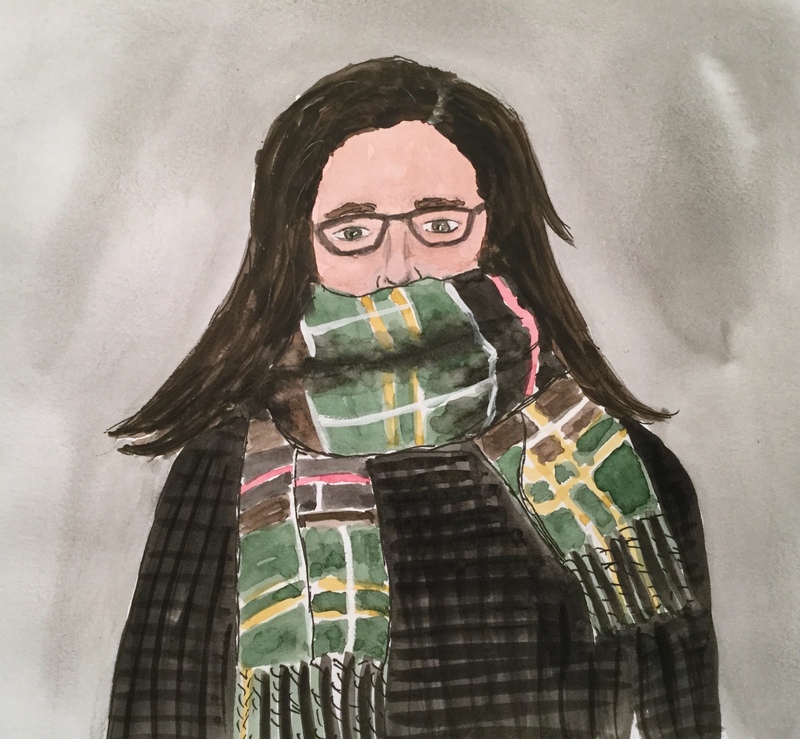 I was scrolling through Instagram and I saw an illustration on @hopeandeasel by @girlpowerillustrations of a girl with a scarf and suddenly I was inspired to paint a self portrait of me with a scarf. A self portrait, a face – both are totally out of my comfort zone. And I was so happy with how it came out! If I wasn’t pushing myself to paint every day, it never would have happened. Yesterday, when I was thinking about what to paint, the plastic candle decorations we had when I was little kept popping into my head. But what was I going to paint – the four foot tall plastic candles? 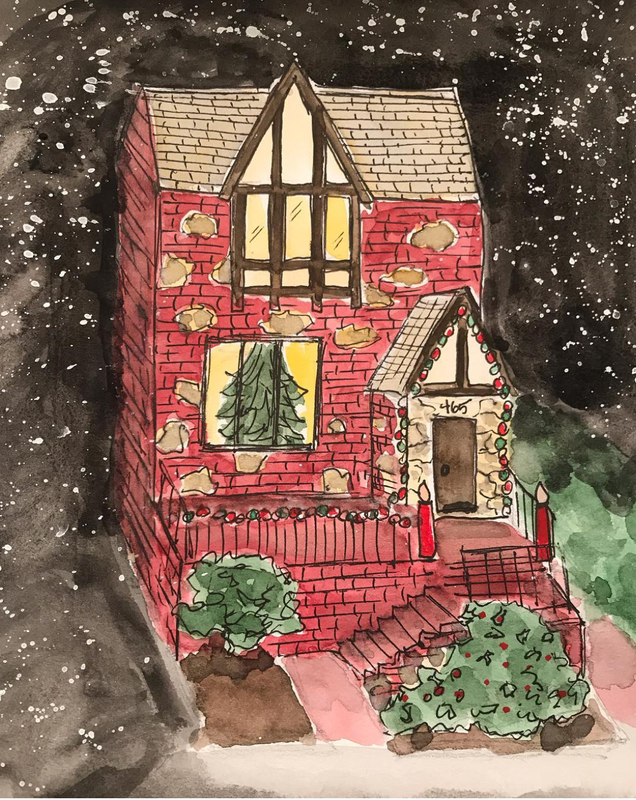 Then I decided to paint my childhood home decorated for the holidays. I was so pleased with how it came out, especially for sentimental reasons as the house is no longer ours. Again I was working outside my comfort zone. 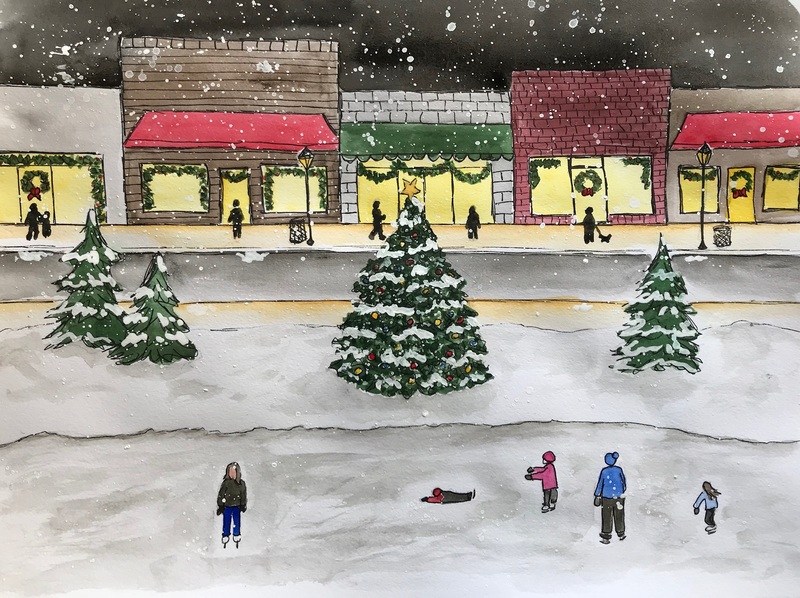 My previous Christmas Illustrations are available as holiday cards on zazzle.com. And as digital downloads for your projects on Etsy.com. Categories: Countdown to Christmas | Tags: Holiday illustrations, Winter illustrations | Permalink.